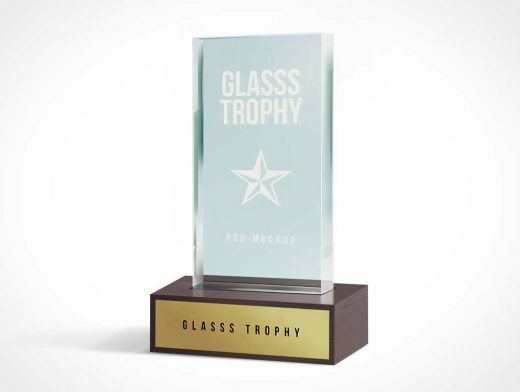 Discover a realistic looking glass trophy mockup PSD providing you a superb choice to showcase your award related logo and text. Honestly, you can easily add your own background choice to set the mood of the design, but I have included 3 different backgrounds to get started with. Adding your text or design on the glass piece and the base is a breeze. Simply, use the two smart-object layers to replace your logo or text.